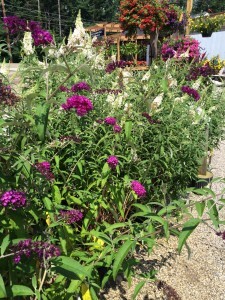 With the beautiful sunshine we’ve been lucky to have, more and more perennials have been going into bloom. 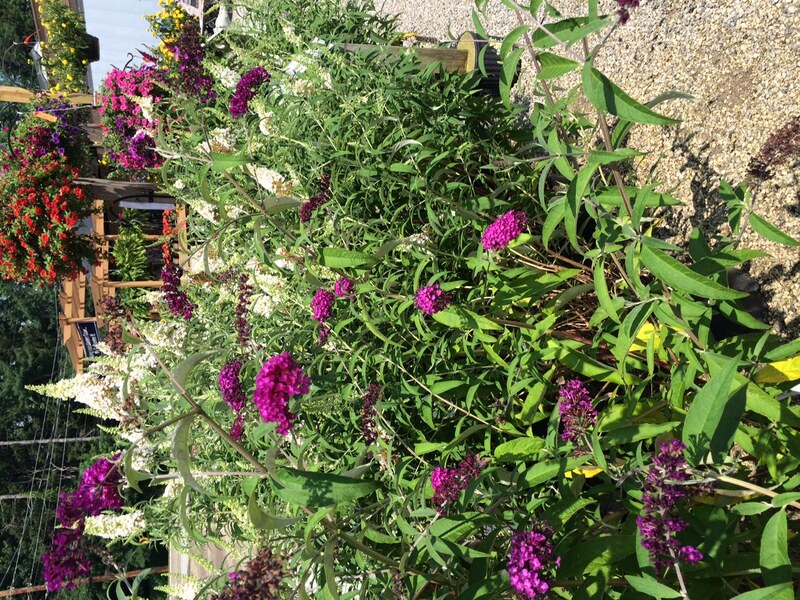 As we walked around the nursery and perennial greenhouse, we were delighted to see many colorful butterflies fluttering around. They are fascinating to watch as they fly from plant to plant. There is still time to attract butterflies to your garden this time of year. All of the plants mentioned below are available now. They are blooming or just starting to flower so you can enjoy attracting butterflies as soon as you plant them. Here is how to attract butterflies to your garden! Here are a few tips & plant suggestions for attracting them. Butterflies love a sunny area and a little shelter from the wind. 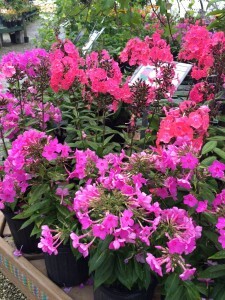 Place plants that attract them near a fence or in a protected area. Place a small rock in the garden which will warm up from the sun an provide a resting spot. Place a shallow bowl with water in the garden. Butterflies are attracted to the colors red, yellow, purple, pink and orange. The following is a list of a few perennial plants that are known for attracting butterflies and hummingbirds. Asclepias (commonly known as milkweed or butterfly weed) : These beautiful flowers show off their orange blossoms from late spring throughout the entire summer. Asclepias provides nectar to all types of insect pollinators, but most importantly is that the entire plant is a host for monarch butterflies. Phlox (known as Garden Phlox- different from spring blooming creeping phlox) : A colorful perennial that smells wonderful and comes in shades of pinks, purples and whites. 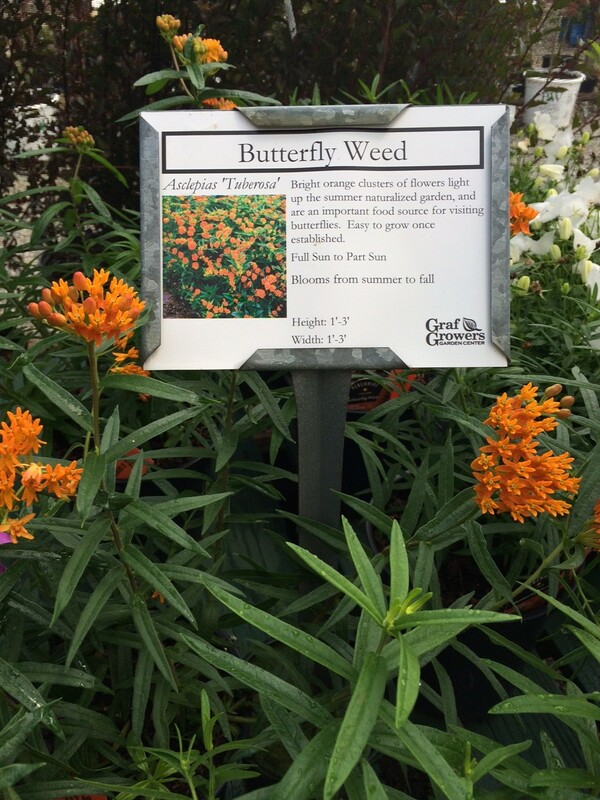 They grow extremely well in mass plantings and add height behind other perennials as they grow 2-3′ tall and wide. 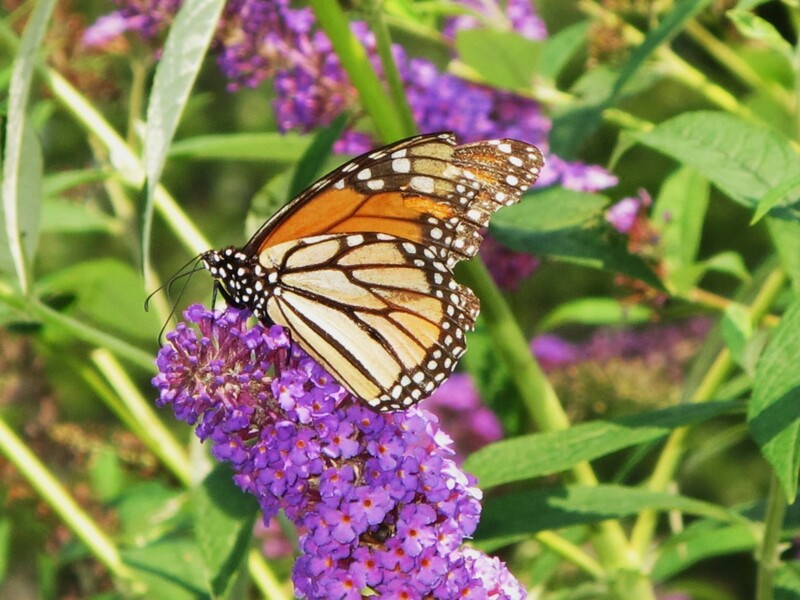 Buddleia (commonly known as butterfly bush) : They are available in a low growing shrub that grows 2-3’ tall or a larger version with larger flowers in many colors that will grow 4’ – 6’ tall. 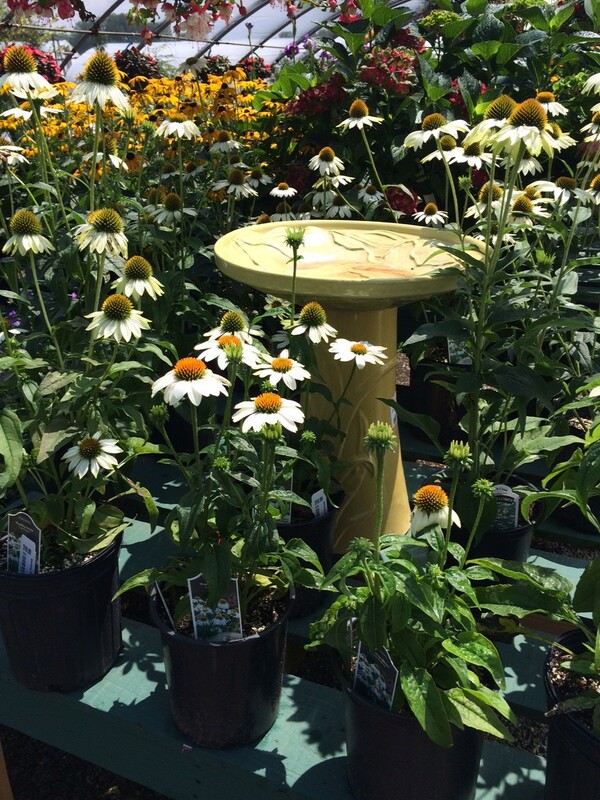 Echinacea (commonly known as Coneflower) : The most common varieties are lavender with a dark center, however, they are also available in beautiful shades or orange & light yellow as well. Rudbeckia (commonly known as Black – Eyed Susan) : A beautiful perennial with rich golden colored that flowers in mid to late summer. They are extremely hardy and easy to care for! 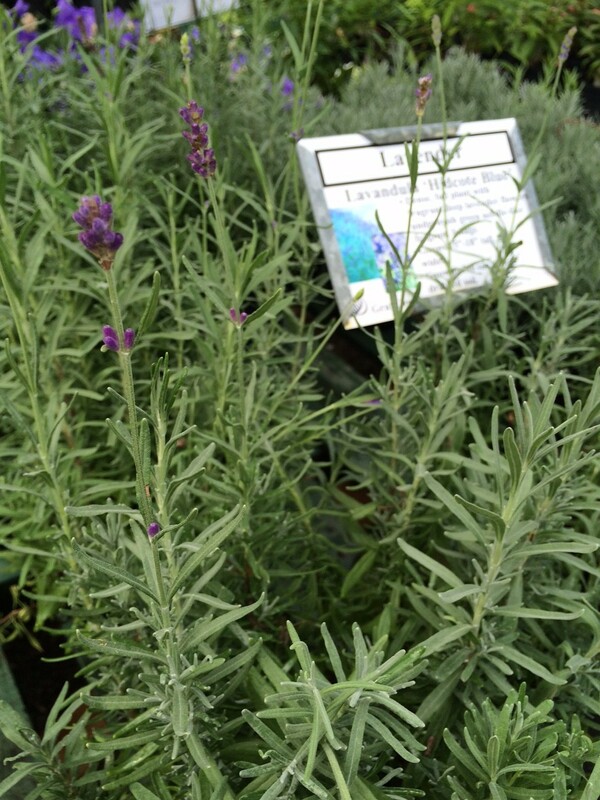 Lavandula : (Perennial Lavender) A beautiful herb that provides fragrance and beauty. This plant requires well drained soil as well.